What is smart investing? In a nutshell: take cutting-edge financial science and apply it to real world investing. The best mutual fund companies that apply this intelligent, evidence-based strategy are Dimensional Fund Advisors and Vanguard. While many people have heard of Vanguard, Dimensional Fund Advisors (“Dimensional” or “DFA” for short) tends to fly under the radar for most investors. Maybe it’s the firm’s laser-like focus and steadfast approach to applying academic research into the factors or “dimensions” that are expected to generate long-term wealth — fads and fashions be damned. That approach rarely gets any headlines or comments from talking heads on financial TV. But using an evidence-based strategy is superior to the usual frenzy involved in active stock picking and reactionary market timing. I’m not your typical financial advisor. I started investing when I was 12 years old. Sounds crazy, right? But I had an overly lucrative paper route that generated more money that I could spend, and my dad was a new and excited investor. He told me about mutual funds, and I was hooked. When I was 16, I vividly remember sitting around with friends at a cabin in the quaint northern-Michigan town of Glennie, talking about girls, cars, stereos and whatever else was on our adolescent minds. At one point, I briefly mentioned investing and how easy it is to make money in mutual funds (the markets had been doing very well at that time). I remember it was like a record scratch. After an awkward silence, they all looked at me like I was on another planet. Shortly after that, I headed to Michigan State University and earned my degree in mechanical engineering. I still didn’t know exactly what I was doing when it came to investing, but I knew I loved it. I was picking actively managed funds, and, after I got my first job at Dell computers in 1999, America was at the peak of the internet bubble. I got caught up in the silliness of the moment. Yep, I was day trading (cringe); investing in trendy “internet” and “technology” stocks, and riding high as the tech industry continued to boom. Crash. In early 2000, the “tech wreck” arrived and everything fell apart. Luckily, I wasn’t exactly a millionaire in my mid-20’s, but the sheer percentage drop of my investments was jaw-dropping. The moment was sobering. It inspired me to dig in deeper and to learn more about mutual funds and investing in general. The engineer in me wanted to understand the mechanics of investing — and so I dove in head-first. I devoured investing books and then went to grad school at the University of Chicago. After I grad school I started working at Morningstar. During this time of my life, I was learning so much about the science of investing. I learned quickly that timing the market doesn’t work — and neither does investing in actively managed funds or picking individual stocks. At Morningstar, I researched, analyzed and talked with many high-profile mutual fund managers on a regular basis. Additionally, I became the lead analyst for Dimensional, visiting them on site and talking one-on-one with their portfolio managers. Their approach resonated with me–and with Morningstar–because it’s backed by science. In fact, some of the leaders of Dimensional are Nobel Laureates — and that’s nothing to shake a stick at. Here’s what 4 years at Morningstar taught me: I learned what works–and what doesn’t–in investing. Now, I’m a financial planner. I use my 30+ years of investing knowledge to build wealth for my clients with smart, evidence-based investment portfolios. There are several reasons I believe that DFA and Vanguard mutual funds do a stellar job of following evidence-based investing principles — and truly go above and beyond to create an exceptional experience for investors. Of course, we’re all brilliant human beings. However, when it comes to timing the market or picking individual stocks — nobody wins. 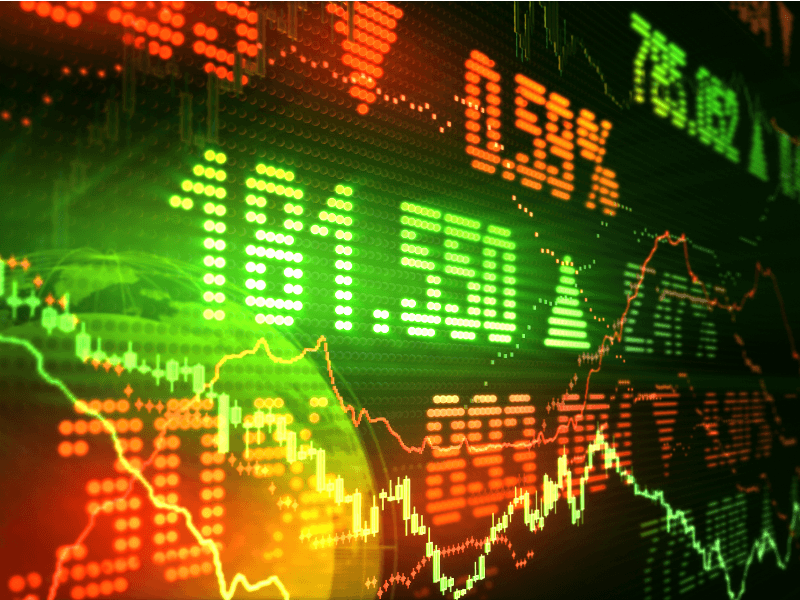 Vast, real-time, electronic information makes the market a highly effective price-setting machine. Trying to consistently outguess 60 million of your fellow investors is not unlike expecting to find enough single needles to outweigh an entire haystack, and to succeed at it over and over again. Vanguard and Dimensional alike prefer to invest in market “haystacks,” albeit with some procedural differences in how the assets get bailed, so to speak. Beyond just reducing trades by avoiding market-timing or trend-chasing, DFA’s structured trading strategy is part of its secret sauce. Actually, it’s not such a secret. When it comes to trading, a trader who is in less of a rush to buy or sell can usually command better prices than one who is in a rush or under pressure to trade. 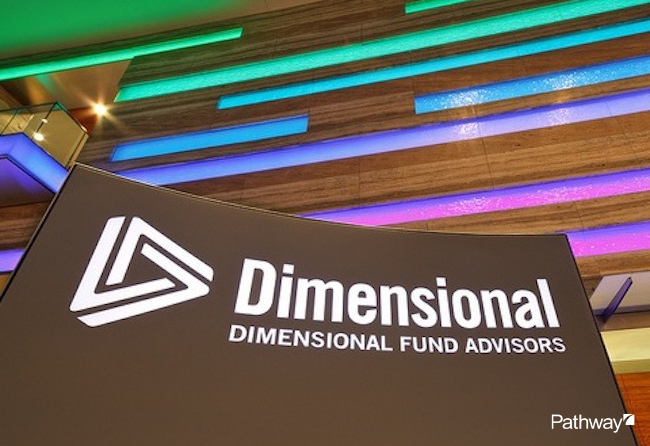 By being more patient than an index fund manager can be and a market-timing manager chooses to be, Dimensional has developed a solid track record for minimizing the trading costs involved in capturing the asset class returns they are seeking. To receive inflows during times of market panic is exceedingly rare and is a mutual fund manager’s dream. Everything is on sale! Vanguard and DFA offer funds with “style purity.” They invest in the asset class they say they will, and stay there. They aren’t making any kind of tactical bets that one asset class will perform better than the other. The chart below says it all. Each column is the year, and each colored square is a separate asset class. Follow one color, such as “orange” (Emerging Market Equity), year by year. Look how much it bounces around! 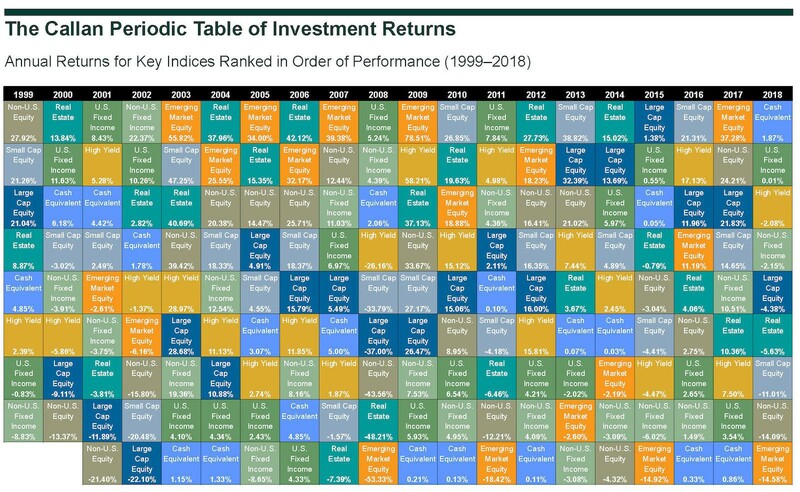 The performance of each asset class each year is anyone’s guess. Another common investment mistake is to chase stocks that have been on a recent winning streak. But this concept is similar to assuming that the team who won the Superbowl last year will still dominate next season. There are way too many variables at play to confidently make that guess. 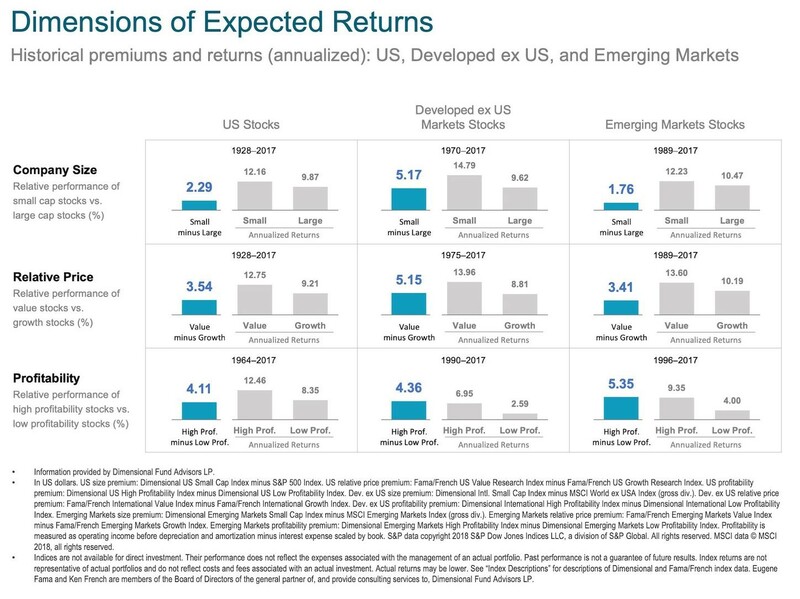 However, this kind of “favorite playing” continues to happen, despite the volume of evidence that past performance does not inform us about future returns. DFA does not invest in public indexes like most of Vanguard’s index funds. The problem with public indexes is, well, they are public. Everyone knows when a public index will change (and exactly how it will change). 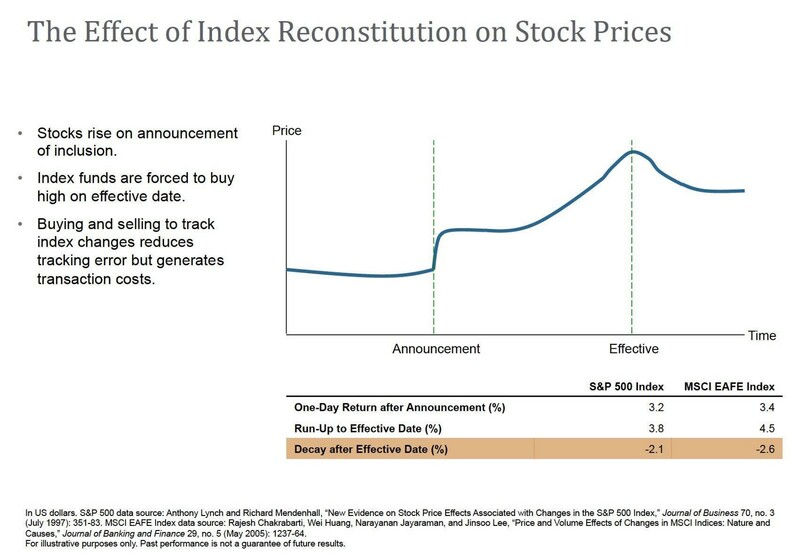 Stocks tend to rise when it’s announced they will be included in a public index, and index funds are required to buy that stock on the effective date at the higher price. This forces the index funds to “buy high.” which is exactly the opposite of what investors should do. 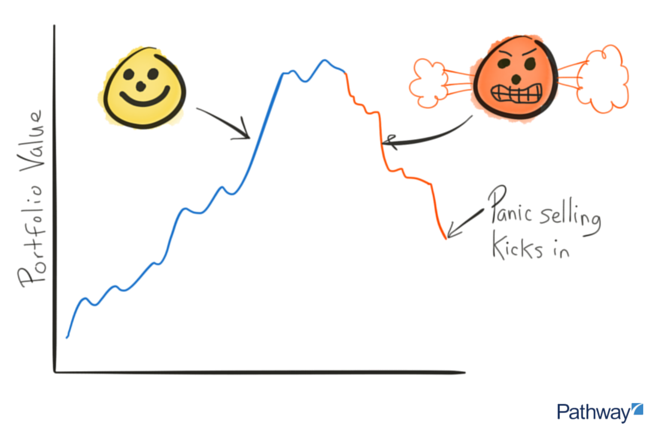 It’s why Dimensional can afford to trade more patiently, as described above. 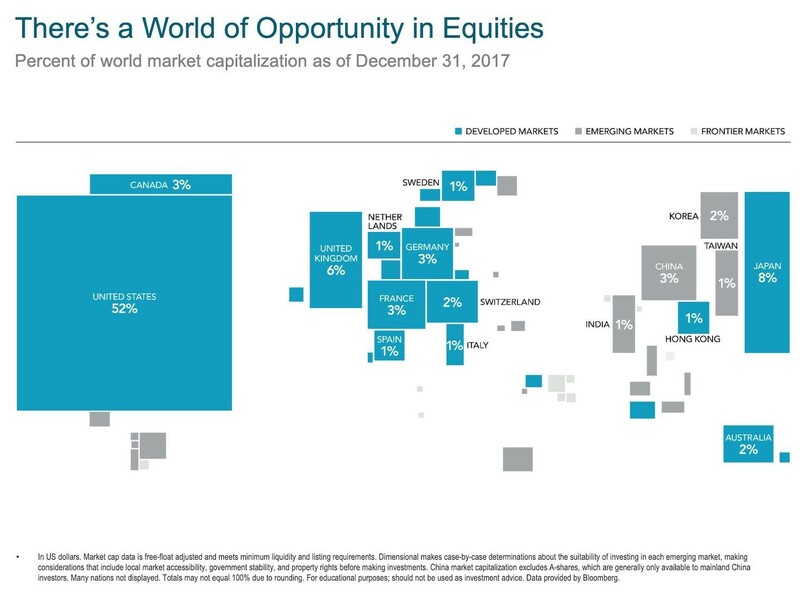 Only about half of the global market’s capital is in the United States. Moreover, many of those other countries respond differently to economic forces, which has many benefits to investors. In fact, having a portfolio of investments that “zigs” while others “zag” can actually increase return and lower risk. Both Vanguard and DFA offer funds that cover broad sectors of foreign markets, so you can easily stay globally diversified. If you’re over-concentrated in a given asset class, it can be unnerving to see the majority of your investment portfolio take a dramatic nosedive. Investors often panic when they see this kind of market downturn, and it leads to them making some emotional decisions about their investments — often to their detriment. You aren’t as likely to panic sell when you have a global back-up plan. 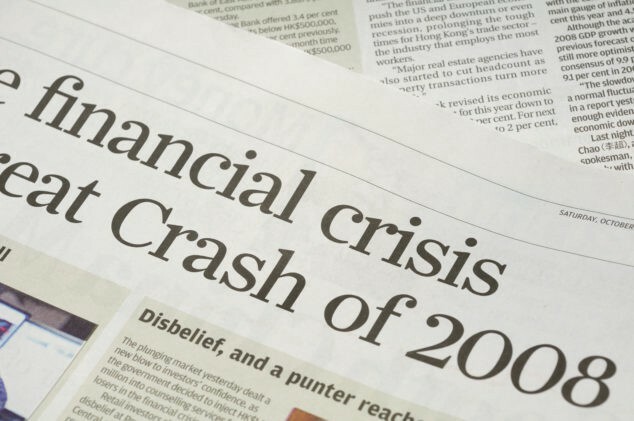 We are bombarded daily with headlines that are meant to trigger an emotional reaction in investors. Rarely do you see an article, YouTube video, or CNN special about economic facts told in a calm and sensible way. It’s easy to get swept into the hoopla about rising (or falling) oil prices, currency fluctuations, or political tensions in other countries. Both DFA and Vanguard participate in the market according to a disciplined, evidence-based process. It can help investors take comfort in the fact that they’re approaching investing in a scientific way — and help them hit “pause” before making a drastic change to their strategy as a result of the latest headline on the front of the daily paper. Many investors believe that the way to “win” at investing is to time the market or pick individual stocks. In reality, the bulk of your returns are driven by how you decide to split your money between stocks and bonds, and your ability to stay the course once you build a sensible portfolio. Value stocks have historically done better than growth companies (think WalMart vs. Amazon). Fees matter. One of the few things you can control in investing is your costs. 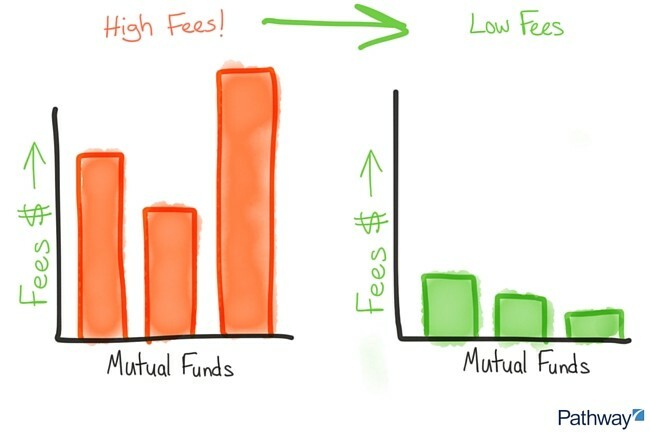 Both Vanguard and DFA offer funds at significantly lower costs than many of their actively managed peers. They also offer a more disciplined approach to letting investors know what each fund contains, so it’s easier for you to build and maintain a portfolio that you can stick with through thick and thin. Finally, both firms do not trade frequently, which reduces internal trading costs and keeps their funds tax efficient. Awareness of what you can control (and what you can’t) are key factors in your quest to build wealth smarter. If you’re like me, you’re in the busiest time of your life. Many of my clients have demanding careers at Ford or in the automotive industry in general. They’re working long hours, making good money, but are short on time to figure out which investments are best for their situation. An experienced, CFP® advisor will cut through the noise and hype of investing, and create an investment strategy built on decades of peer-reviewed academic research that delivers the goods. Maybe it’s just the engineer in me, but using science and the brightest minds in finance seems like the ideal path to take through a minefield of overhyped, expensive, and complex investment products. Want to know more about Dimensional Funds and how to put theory into practice to build real wealth? Schedule a no-obligation chat with me here. I’d love to talk to you about your investing plan, and why I love helping my clients build portfolios using evidence-based strategies. Originally published at pathwayplanning.com on February 25, 2019.